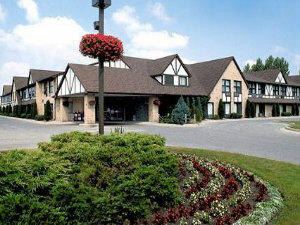 Our unique waterfront location serves as an excellent vantage point, for viewing the ships docked behind the Inn, as well as those that make their way along the St. Clair River. If you love to walk or bike, access to the Bluewater Trails is right outside our door. A short stroll away lies the boardwalk leading to the Sarnia Bay Marina, the Duc D'Orleans and downtown. Two excellent restaurants are located right next door.For those with lady luck on their side the OLG Casino Point Edward is just minutes away. Access to the magnificent Bluewater Bridges, which link Sarnia, Ontario to Port Huron, Michigan is just around the corner.